Tag Archives for " Every Day Optimal CBD "
Welcome to this sponsored post. Every Day Optimal CBD is a leading supplier of CBD products that are made in the USA. This CBD brand specializes in the production of CBD products that contain zero THC. The wide range of products offered by Every Day Optimal CBD can be used to help treat a wide variety of health related issues. Every Day Optimal CBD is one of the go to brands for those seeking to use CBD products. Their products are clean, pure and authentic with absolutely 0% THC and 0% nicotine. Catering to many different lifestyles Every Day Optimal CBD gives us a wide selection of CBD products to choose from. 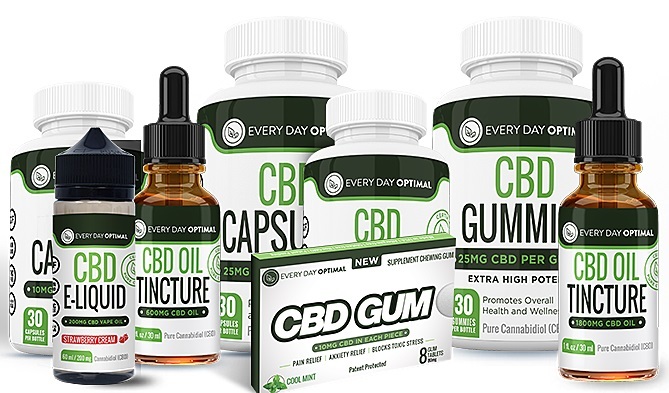 The most popular selection for most new CBD users is the Every Day Optimal CBD Gummies. CBD gummies are an effective and tasty way to get your daily dose of CBD. 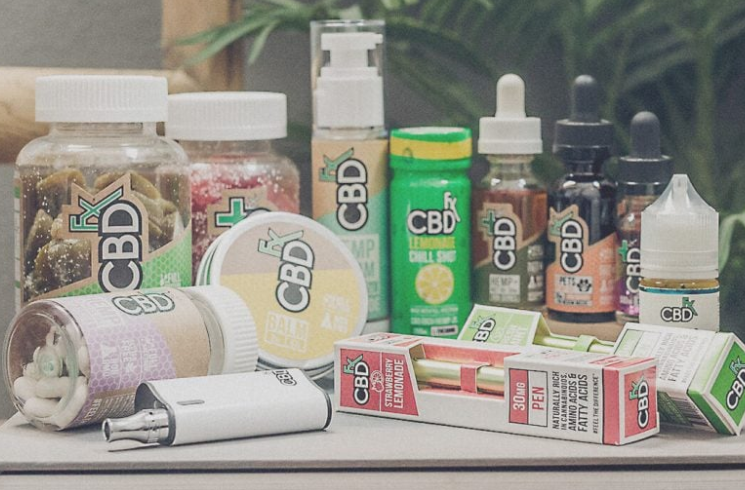 Oil capsules, oil tinctures, and e-liquids are also popular CBD products that you can get with zero THC levels to help promote a healthy well being. The CBD gummies are the most popular choice for both new and existing customers. CBD gummies come in 10 mg doses by 30 gummies. 10 mg is enough for most people and is considered the typical dosage level. For a higher dosage level of 15 mg and 25 mg of CBD per gummy you will be able to get them from Every Day Optimal CBD as of March 2018. The gummies from Every Day Optimal CBD come in a fun sour flavor. CBD Oil capsules are another very effective and popular way to consume CBD. Every Day Optimal CBD produces several different types of CBD capsules. On version is nothing but pure CBD and comes in 10mg or 25mg form. No added vitamins, fillers or anything else, just pure CBD. They also have CBD capsules that contain added vitamins and minerals designed to boost the CBD’s power and effectiveness for certain issues. For example, their popular Fibromyalgia CBD contain over 17 essential minerals and vitamins as well as 25 mg of pure CBD. Their Sleep Aid CBD has 25mg of CBD plus 6 additional ingredients known to help people fall asleep fast and stay asleep longer, while their D-Stress CBD capsules contain a property formula of ingredients shown to kill toxic stress and reduce anxiety. A great product for new users of CBD and one that offers more versatility is CBD oil tinctures. With a tincture you can use the CBD directly by applying a drop under your tongue. Additional, you can add it to other liquids to give them a percentage of CBD. Common ways to take your CBD is by getting an oil tincture that you can add to a hot tea, cool smoothie or other enjoyable beverages. CBD oil tinctures can also be used as an additive to vape juices or e-liquids. There is of course an easier way to vape CBD juices and that is by buying a ready to vape liquid opposed to the CBD oil tincture. A benefit with a tincture is that you can mix and match one bottle with various types of other vape juices that you already enjoy. The quickest solution for vape users is to get a ready to use CBD e-liquid. The e-liquid that you can get from Every Day Optimal CBD is a 70/30 VG/PG split that is made with the cleanest, most effective full spectrum CBD oil that is non THC and non nicotine. All you have to do with CBD e-liquid is add it to your compatible vaporizer. There are many types of vaporizers that you can use to vape e-juices. You can view the CBD e-liquids, capsules and tincture’s here at Every Day Optimal CBD Oil Products. Every Day Optimal CBD products are independently tested by third parties. The results ensure that there is no THC and no nicotine in any of their products. Every Day Optimal CBD products are made in the US and are one of the top selling brands for cannabinoid products. CBD research still has a long way to go in terms of studies from credible sources. Slowly but surly we are beginning to see more information being published and made accessible to the public. However, even with the lack of credible studies many people have found success with CBD products. CBD is used for a wide range of health related purposes including anxiety, cancer, leukemia, joint pain, inflammation, seizures, and many others.s from other customers in order to make a more informed decision. Do your due diligence and talk to your doctor, read reviews, and be informed before making a purchase of CBD products.